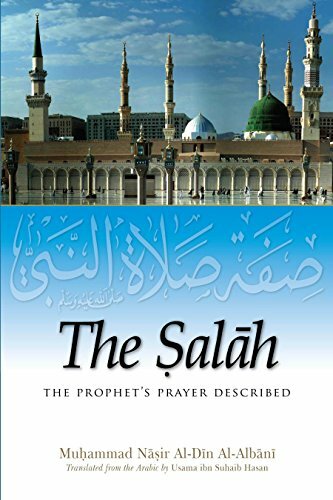 It is not possible for us to perform the Salah (Prayer) as it should be performed unless we know the detailed description of the Prayers as shown by Prophet Muhammad (SAW), such as its essentials, manners, forms, supplications, and remembrances. However, detailed familiarity with these aspects of the Prayer is difficult to be achieved by most people nowadays because of their limiting themselves to a particular madhhab (school of thought). 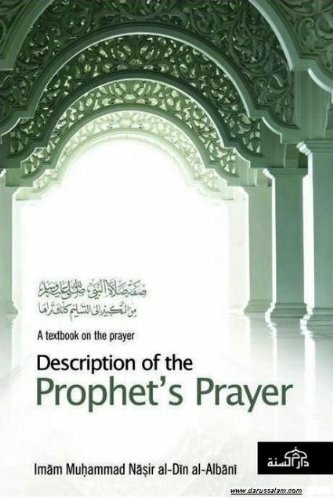 In every madhhab, there are traditions and sunnahs (Prophetic examples which are not found in other madhhabs and in every madhhab there are sayings and actions which cannot be authentically traced back to the Many books have been published on the Salah (Prayer) of the Prophet but most are by later scholars that cater for a particular madhhab (school of thought). 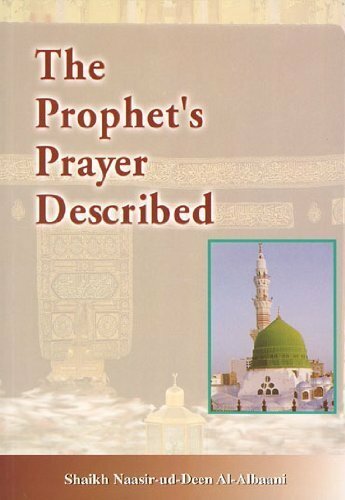 This famous work translated from the original Arabic Sifah Salah al-Nabi, brings to together as many features of the Prophet's Prayer from the beginning to the end, so that Muslims can fulfill the Prophet's command to "pray as you see me pray". This work is the result of an extensive research by the author on various traditions (hadiths) and their relevance, judged according to the strict rules of the science of Hadith. 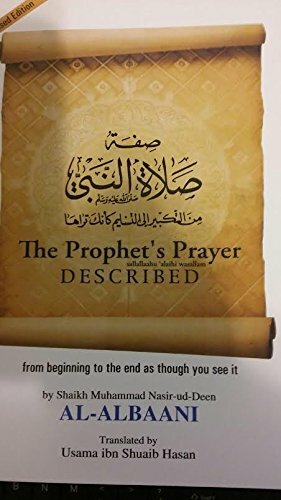 From the author's introduction: "Since I had not come across a comprehensive book covering this topic, I felt obliged to produce a book which collected together as many features of the Prophet's prayer (sallallaahu 'alaihi wa sallam) from the takbeer to the tasleem as possible, for the benefit of my Muslim brothers who wished to follow the guidance of their Prophet (sallallaahu 'alaihi wa sallam) in their worship, such that it would be easy for any who truly loved the Prophet (sallallaahu 'alaihi wa sallam) to use this book to fulfil his command, "Pray as you have seen me praying." Description: It is not possible for us to perform the Salah (Prayer) as it should be performed unless we know the detailed description of the Prayers as shown by Prophet Muhammad (SAW), such as its essentials, manners, forms, supplications, and remembrances. However, detailed familiarity with these aspects of the Prayer is difficult to be achieved by most people nowadays because of their limiting themselves to a particular madhhab (school of thought). 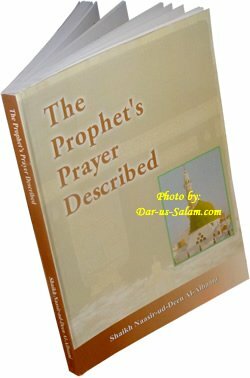 In every madhhab, there are traditions and sunnahs (Prophetic examples which are not found in other madhhabs and in every madhhab there are sayings and actions which cannot be authentically traced back to the Many books have been published on the Salah (Prayer) of the Prophet but most are by later scholars that cater for a particular madhhab (school of thought). 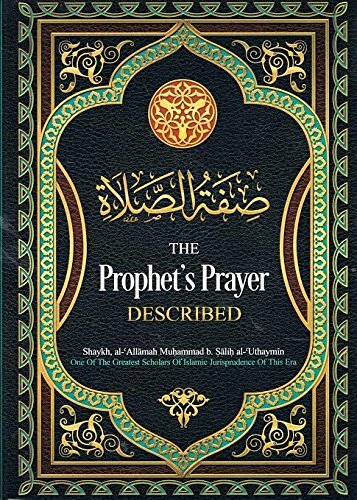 This famous work translated from the original Arabic Sifah Salah al-Nabi, brings to together as many features of the Prophet's Prayer from the beginning to the end, so that Muslims can fulfill the Prophet's command to "pray as you see me pray". 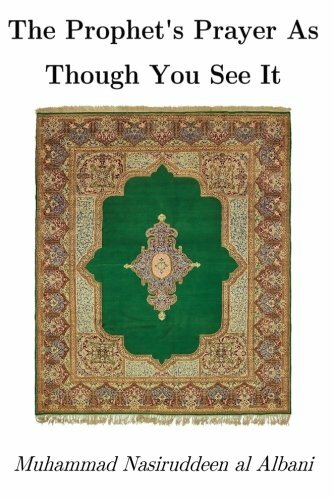 This work is the result of an extensive research by the author on various traditions (hadiths) and their relevance, judged according to the strict rules of the science of Hadith. If your prayer life looks more like a dry wasteland than a refreshing oasis, do something about it!Don't settle for a mediocre kind of Christianity. It's unfulfilling.It's unscriptural. And it leads nowhere good.The Old Testament prophets were full of fire and passion for God. They were straight-talking, courageous men that spoke the words of God without watering them down.Ignite your dedication and devotion to God by taking serious time to read through these prayers and make them your own. 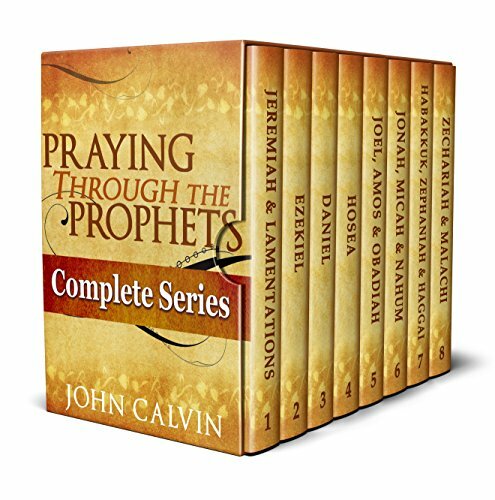 Shopping Results for "The Prophets Prayer"